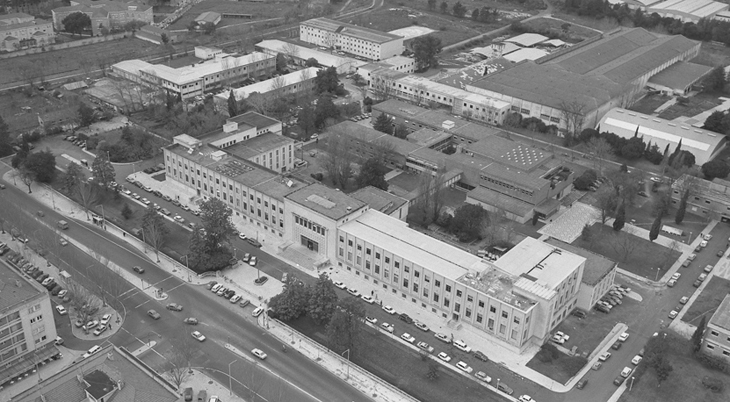 Opened in 1952, LNEC’s Campus covers an area of 22ha, from Avenida do Brasil until 2ª Circular. It consists of a set of buildings of great architectural interest, built at different times, under the authorship of some of the most important Portuguese architects such as Pardal Monteiro, author of Arantes e Oliveira Building (LNEC’s main building, named after LNEC’s first Director, completed in 1952), Januário Godinho and João Andersen, authors of Calouste Gulbenkian Building (completed in 1962), among others. The project of LNEC’s gardens is the work of architects Gonçalo Ribeiro Telles and F. Vaz Pinto. These gardens hold some rare and exotic species of trees and plants, some identified. In December 2012 LNEC’s campus was classified as a Monument of Public Interest.